Lorelei Garagancea – SFL Regulatory Affairs & Scientific Communication Ltd.
Lorelei is Legal Associate at SFL. Within Legal Affairs, she provides legal and public affairs input to multi-disciplinary projects and assists with contract-related matters. 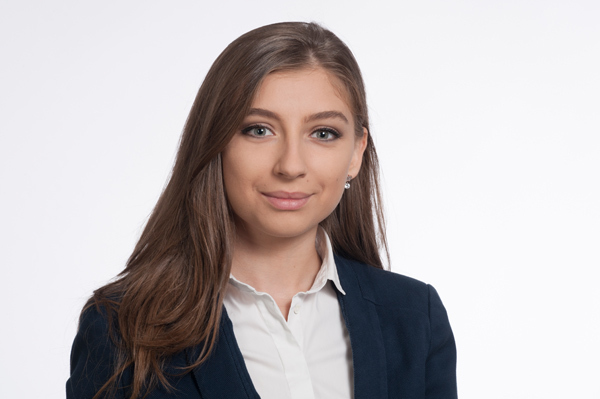 Her position includes preparing presentations and legal opinions , as well as conducting legal research in areas pertaining to EU law, IP law and comparative law. Her language skills in English, French and Romanian are also of service for the clients’ projects. Before joining SFL, Lorelei worked at the World Health Organization (HQ Board of Appeal) as in-house counsel, and formerly in a law firm. She holds a Master of Laws degree from the University of Fribourg, Switzerland, a Bachelor of Laws degree from the University of Paris I Panthéon-Sorbonne, France and a Bachelor of Laws degree from the University of Bucharest, Romania.